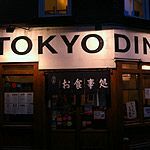 Conveniently located in Covent Garden, Tokyo Diner offers a large selection of Japanese dishes served by a friendly staff. Do you work at Tokyo Diner? 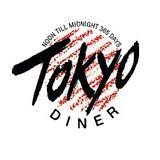 What did you think of Tokyo Diner? 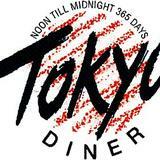 I've been going to Tokyo Diner for years now, but found my last few visits disappointing. The food has gone downhill as has the service. It's a shame as Tokyo Diner used to be one of my favourite places, but I'm not so sure any more. My boyfriend and I have been eating at Tokyo Diner for four years and love it. He works locally and frequently eats lunch there but tonight was my first visit for quite some time. As always, I came away with a deliciously full belly and mild rice coma:) The food is great - simple, unpretentious and delicious. The staff might not do small talk but we've always found them polite and efficient. And we enjoy being able to eat our food in peace. So, go there. Eat their delicious food. Ask for the large portion of rice because it is addictively tasty. And enjoy the experience of eating in a Japanese workmen's diner in the centre of London. Second visit yesterday and loved it! Ethical, healthy, tasty - in particular the sesame spinach side dish had us swooning - unpretentious and friendly. I wouldn't hesitate to recommend it. How unfortunate that IhateTokyodiner had such an awful experience. I can't image that waitress lasted very long at all! This authentic Japanese restaurant serves good food at good prices, combined with a vibrant atmosphere. Tokyo Diner has a great location, centrally located in Chinatown right behind Leicester Square. It’s unpretentious and minimalist and, not surprisingly, very Japanese looking with wooden tables, low wooden chairs, straw curtains and Japanese maps, posters and artifacts on the wall. The yellow walls give it a warm vibe. It is open from noon to midnight and in true Japanese fashion they don’t accept tips. It’s popular and can get crowded, but there is an upstairs to compensate for the smallish space downstairs. The venue attracts a mixed, cosmopolitan, mainly young crowd who chat and while away the hours after work and before going out and about. Waitresses are attentive and quick to refill your cup of never-ending (free) green tea. You’re given a complimentary bowl of Japanese cracker mix and tea as soon as you’re seated. On the menu are staple Japanese dishes such as sashimi (£10), sushi options (£11.50 for a nigiri set; 13 pieces of different types of sushi, including different types of fish), Japanese curry (starting at £6 for a vegetarian), a range of rice dishes starting at £8.50 for Oyako Don (chicken and egg) and the most expensive is the grilled eel at £13. There are also bowls of soup with different types of noodles, vegetables and meat (around £6 - £7) and traditional Japanese bento boxes, ranging from £11.50 for a vegetarian bento up to £16.40 for salmon teriyaki. Lunch options are available starting at £6.90 for a vegetarian rice dish, the most expensive dish being the salmon teriyaki at £11. There are also a range of side dishes such as miso soup (80p), fried chicken pieces (£6), sauteed aubergines in a sweet sauce (£4), tofu in broth with ginger and spring onions(£5) and edamame beans (£3). Curries here are very authentic, although they’re not as spicy as the more common Indian curries. The nigiri set is very filling and was as fresh as sushi can get. Portions are generous but if you’re very hungry you can ask for a bigger one, meaning you get more rice free of charge. Sake costs £2.90, bottled beer £1.90 (Asahi, Kirin and Carlsberg) and a large glass of house wine (the only wine available) will set you back around £6. There are also soft drinks, plum wine and tea available. Green tea is free. Low key Japanese food and atmosphere for people out and about in central London.